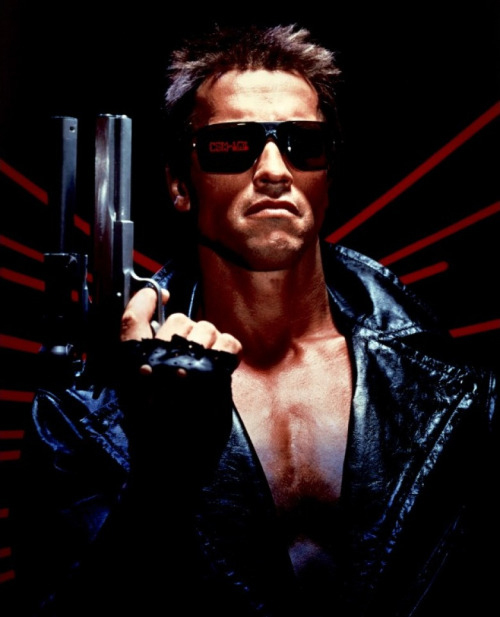 The Terminator is a 1984 science fiction action movie written and directed by James Cameron, it stars Arnold Schwarzenegger as the T-800 Terminator, a machine from the future sent back in time to assassinate Sarah Conner (Linda Hamilton) whose son will lead a resistance against the machines in a post-apocalyptic future. The film also stars Michael Biehn as Kyle Reese, a soldier sent back in time to protect Connor and thwart the T-800’s assassination plans. The low budget picture was not initially expected to be a hit however it surpassed all expectations launching the career of Cameron who would become one of the most successful directors in history and spawning an enduring franchise. The Cameron directed sequel Terminator 2: Judgment Day (1991) built on its success grossing over $500 million at the box office and cementing the characters place in cinematic history. 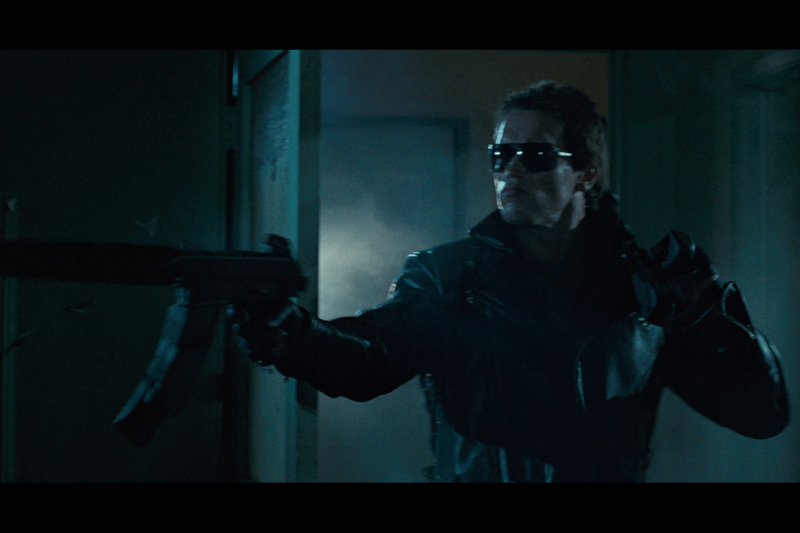 This was followed by Rise of the Machines (2003), Terminator Salvation (2009) and the 2015 reboot Terminator Genisys which saw Arnold Schwarzenegger reprise his iconic role once again. 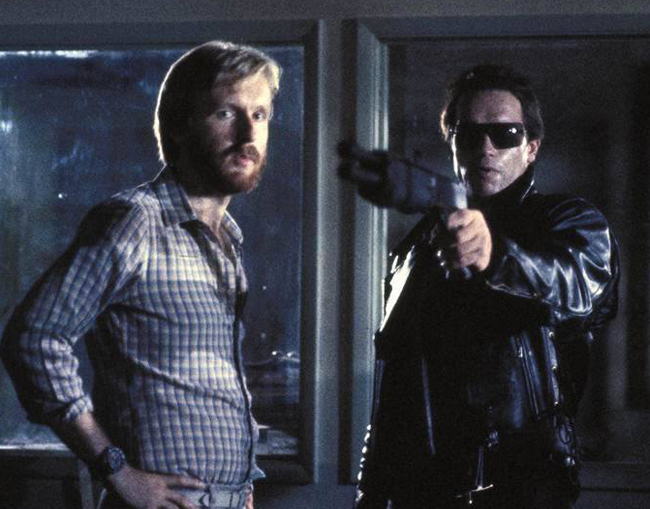 The Terminator story began in 1982 when director James Cameron had a dream about a metallic skeleton emerging from flames holding knifes and a young woman attempting to flee its deadly grasp. 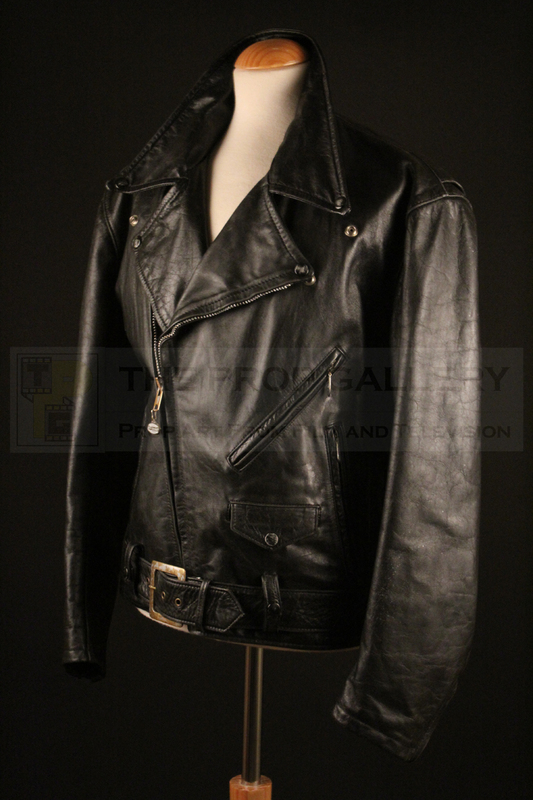 Taking this vision and influenced by science fiction pictures of the 1950s Cameron created sketches and developed the idea writing a treatment which would ultimately become The Terminator. Cameron’s friend, and later wife, Gale Anne Hurd was one of the few people who shared his enthusiasm for the project buying the rights for $1 with the agreement that her Pacific Western Productions company would produce the picture only if Cameron could direct, she would later broker a distribution deal with Orion Pictures which meant Cameron had to secure backing to finance its production. He felt that a good choice for the title character would be his friend Lance Henriksen with whom he had collaborated on Piranha II and having secured a meeting with John Daly of Hemdale Pictures Cameron had Henriksen come along in character, dressed in a ripped shirt and a leather jacket. Daly was impressed by Cameron’s enthusiasm for the project he agreed to finance the picture. 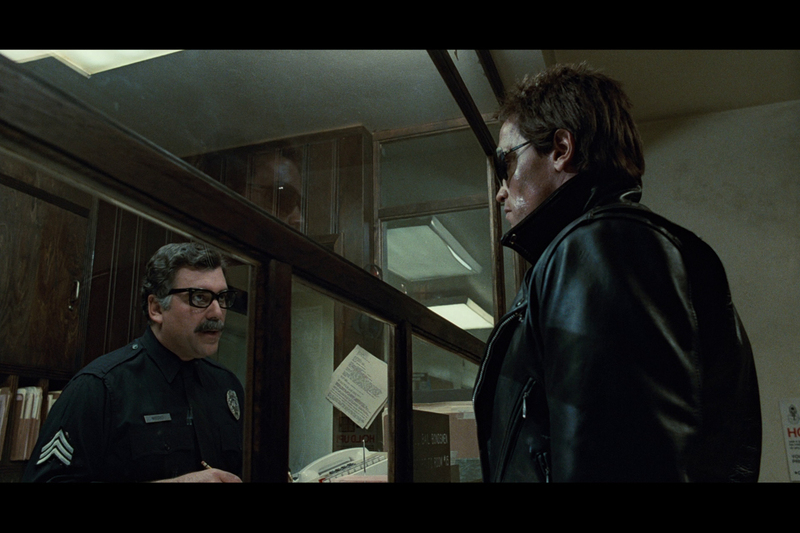 With casting underway Cameron sought his Kyle Reese and it was at the suggestion of Mike Medavoy of Orion that he met with Arnold Schwarzenegger who was a rising star having appeared in Conan the Barbarian the previous year. 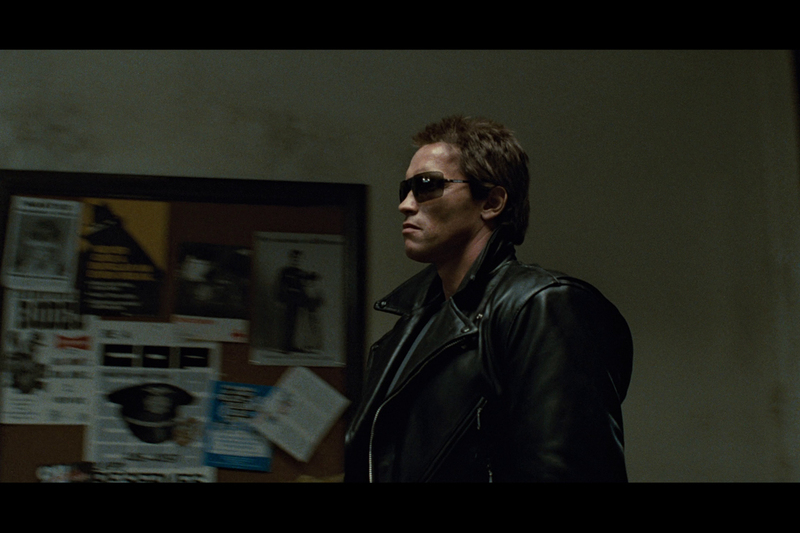 It was not the role of Reese which interested Schwarzenegger but that of The Terminator and the pair spoke at length about the character and how it should be portrayed. 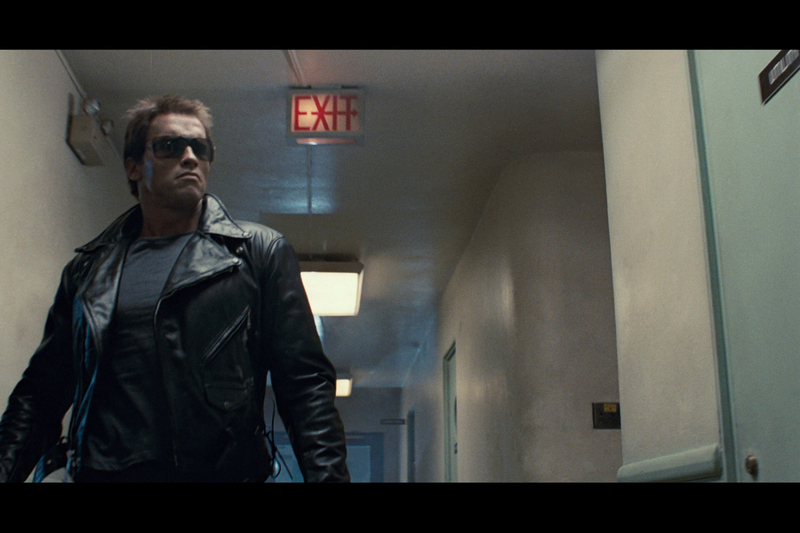 The rest is now history, Arnold Schwarzenegger was cast as The Terminator and a skeptical Michel Biehn as Kyle Reese. 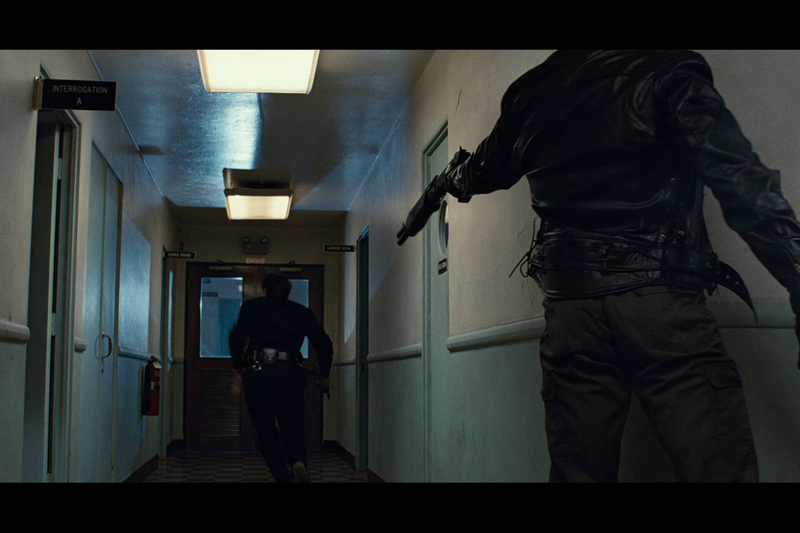 Over thirty years later it is difficult to imagine any actor other than Arnold Schwarzenegger as The Terminator with his machine like emotionless portrayal and the dead pan delivery. 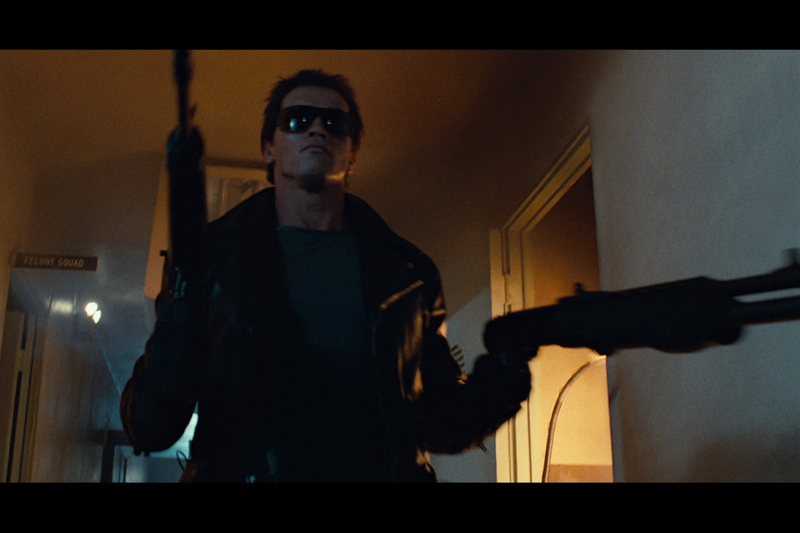 Although he utters just seventeen lines as the character throughout the entire picture “I’ll be back” is one which had a significant impact on popular culture, another iconic element of the picture and indeed the franchise is the costume, notably the black leather motorcycle jacket first seen as he begins his assault on the police station. 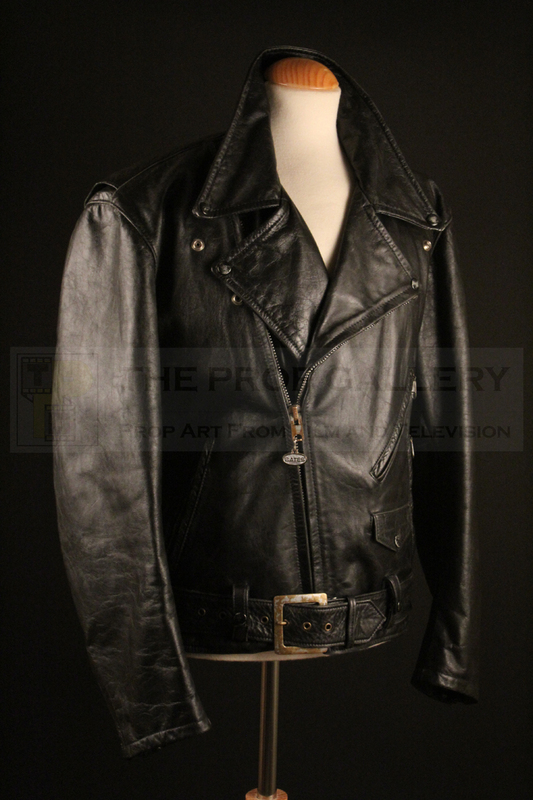 This is an original jacket worn on screen by Arnold Schwarzenegger as the Terminator. 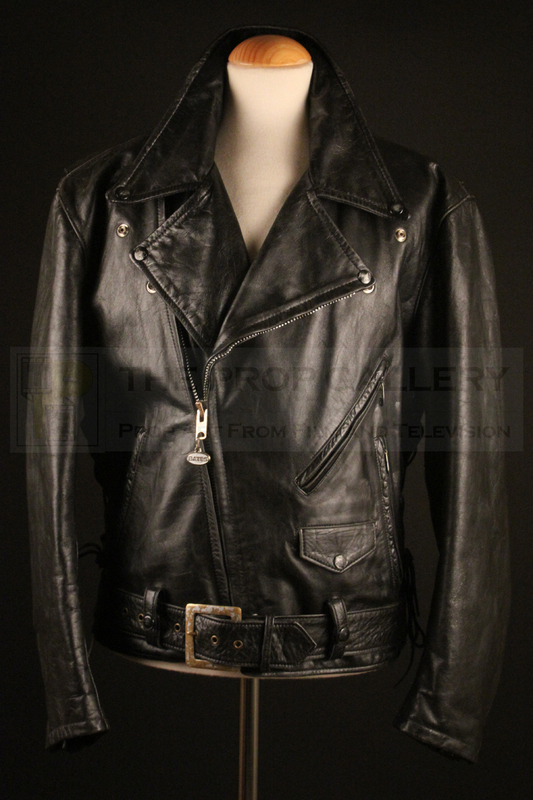 The jackets were bespoke made for Schwarzenegger in very low numbers by Bates Leathers of California and subsequently distressed to varying degrees by the production. 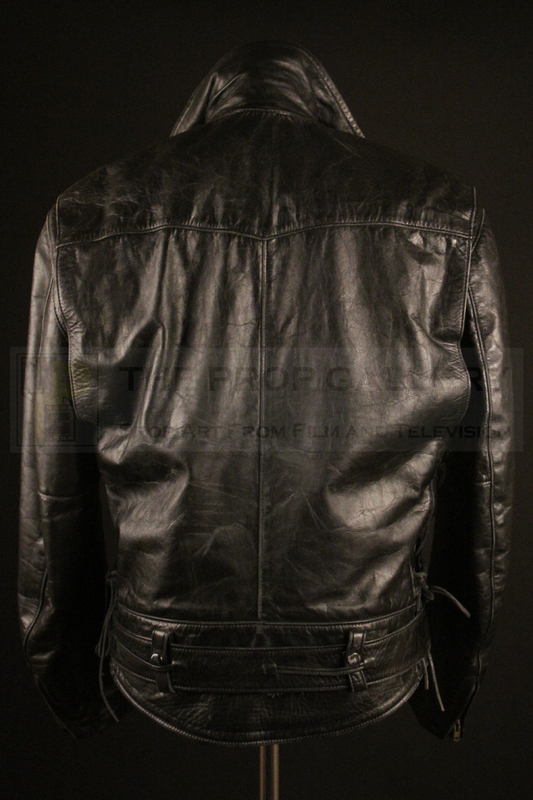 This represents the cleanest version of the jacket used on screen before The Terminator suffers any damage, it features numerous pockets with lace up sides, an integral waist belt and features the Bates label to the interior which is hand inscribed ‘A.S’ and ‘PROPERTY TERMINATOR’. 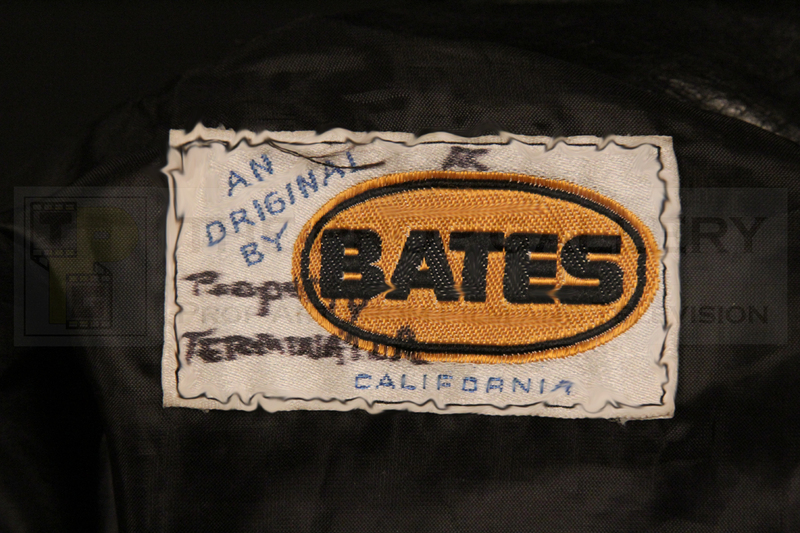 Interestingly the jackets were originally constructed by Bates with gold hardware which is how they appear in some publicity shots however the zips and belt buckle were painted silver by the production and overspray from this process allows this jacket to be conclusively screen matched to the one worn by Schwarzenegger as he rampages through the police station in an attempt to locate Sarah Conner. 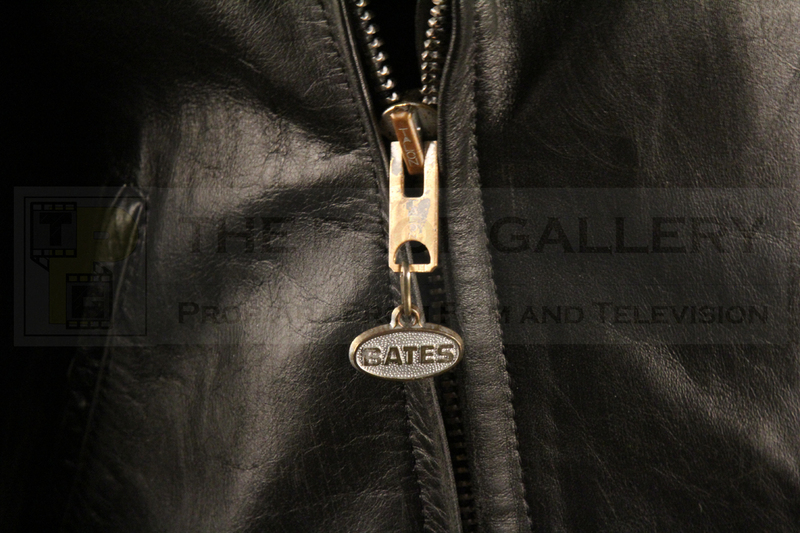 This jacket was gifted to Gale Anne Hurd’s production assistant after filming and is accompanied by a letter on Pacific Western Productions headed paper thanking them for their hard work, it represents an incredibly rare and significant artefact from this influential cult classic of the science fiction genre.